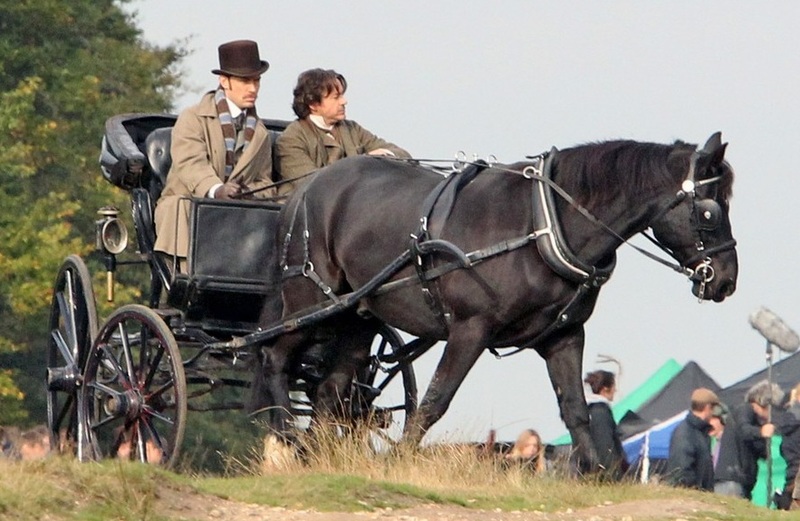 The movie Sherlock Holmes 2: trailer, clips, photos, soundtrack, news and much more! 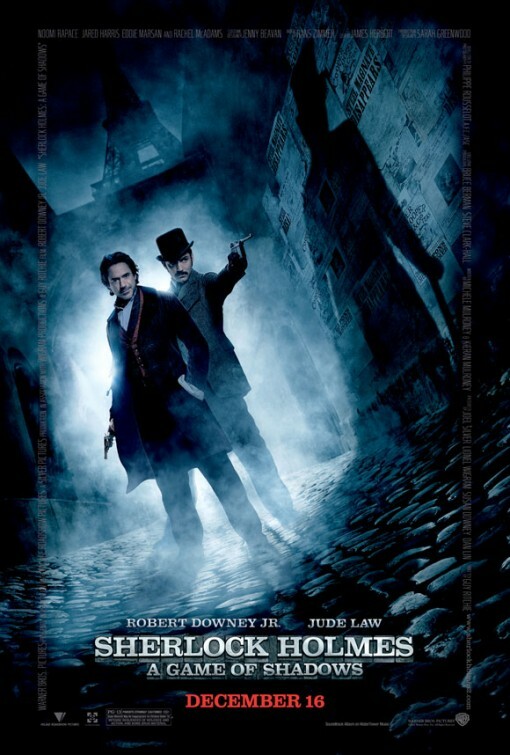 Sherlock Holmes 2 – Are you drinking embalming fluid? Besides Sherlock Holmes and his sidekick Dr. Watson, you may see Professor Moriarty’s shadow on the wall. 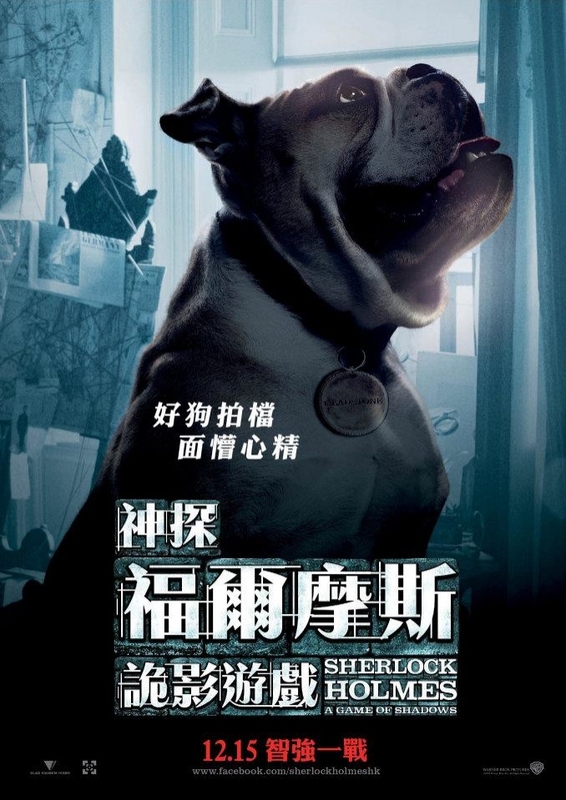 Sherlock Holmes experimented on the dog in the first film… Let’s hope he will not do it again in the sequel or PETA is going to protest! This sequel will be even more exciting than the first film! Chose your side: Sherlock Holmes or Moriarty? Sherlock Holmes 2 A Game of Shadows – I’m not going out with you dressed like that! Sherlock Holmes 2 A Game of Shadows – I see your web of conspiracies has expanded. 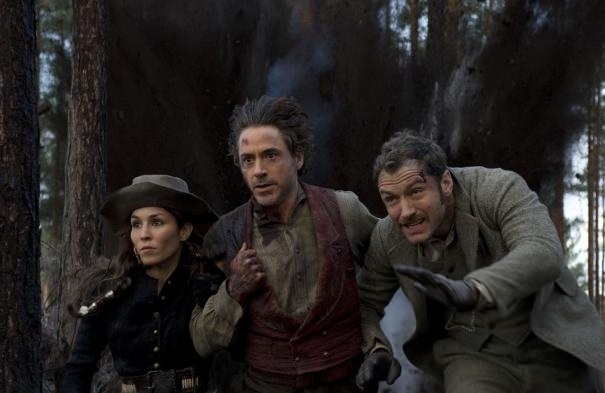 Sherlock Holmes 2 is gong to be an action packed movie! 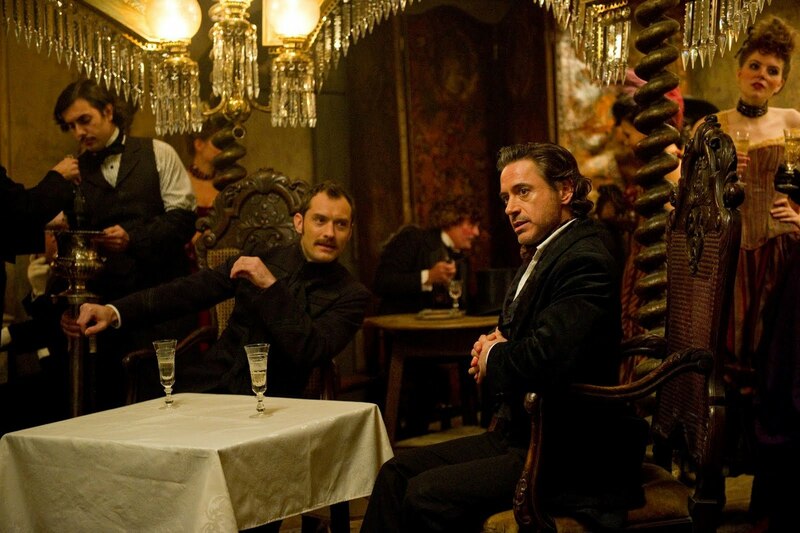 Do you prefer Sherlock Holmes (Robert Downey Jr.) or Dr. Watson (Jude Law)? The film is directed by Guy Ritchie and the cast also includes Noomi Rapace, Jared Harris, Eddie Marsan, Stephen Fry and Gilles Lellouche. 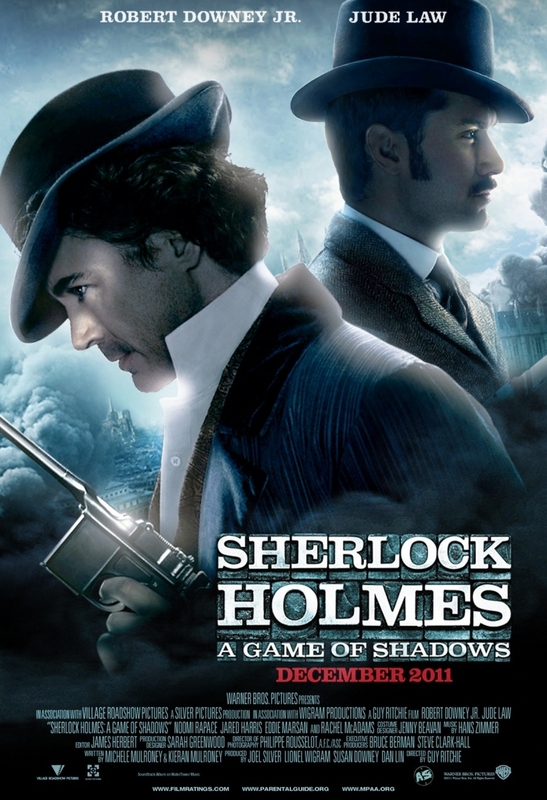 The release date of Sherlock Holmes 2 A Game of Shadows is set for December 16, 2011. 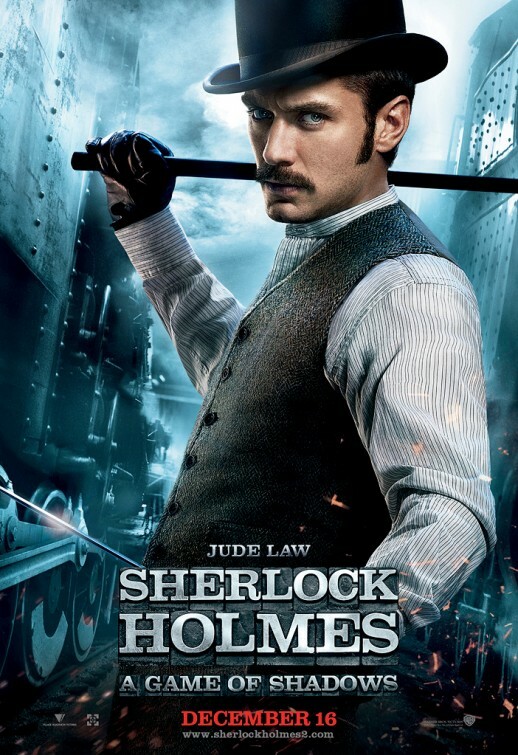 Will you go watch Sherlock Holmes 2 when it comes out in theaters? 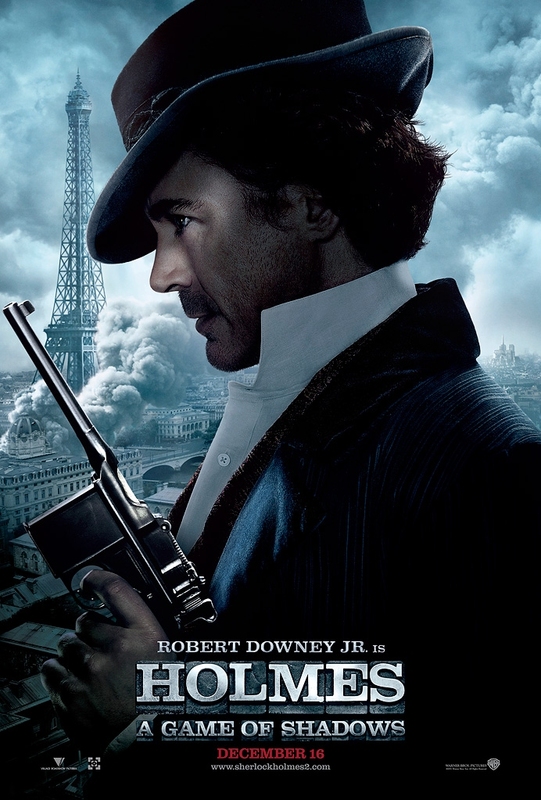 Paris serves as background for Sherlock Holmes’s poster and it’s London for Dr Watson’s poster. 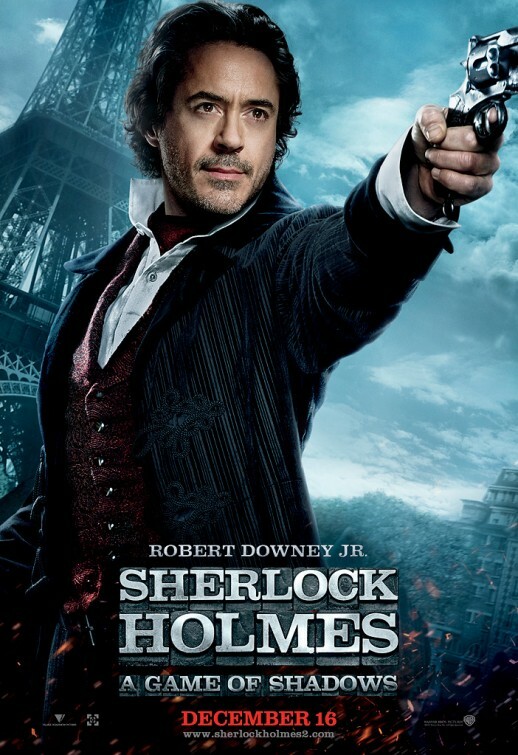 The movie Sherlock Holmes 2 will be released in theaters on December 16, 2011. The cast includes Robert Downey Jr., Jude Law, Noomi Rapace, Jared Harris, Eddie Marsan, Kelly Reilly, Geraldine James and Rachel McAdams. 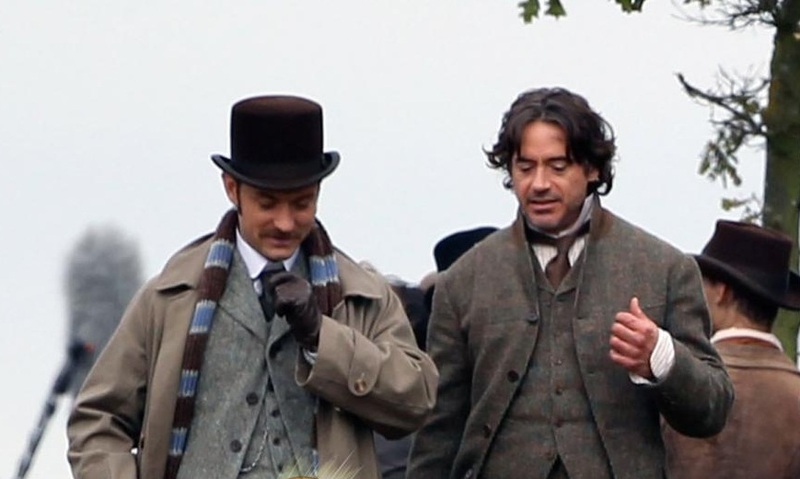 Does Sherlock Holmes (Robert Downey Jr.) look great as a lady? 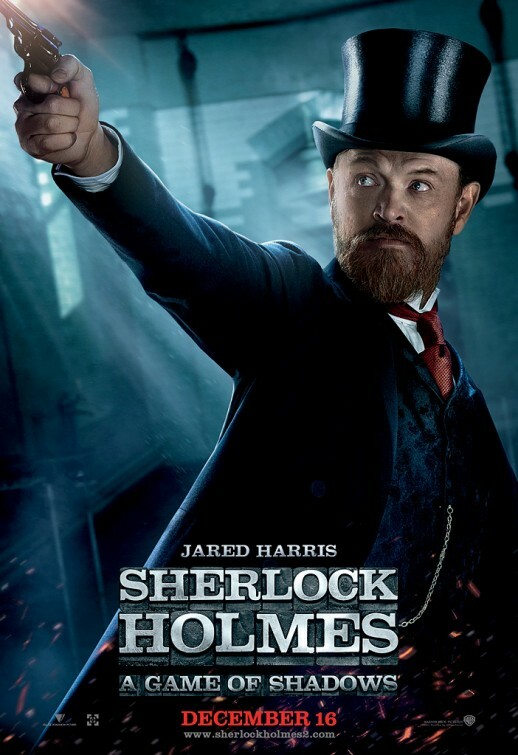 Sherlock Holmes (Robert Downey Jr.) and his sidekick Dr. Watson (Jude Law) join forces to outwit and bring down their fiercest adversary, Professor Moriarty (Jared Harris). Is Watson (Jude Law) going to marry this woman for real? 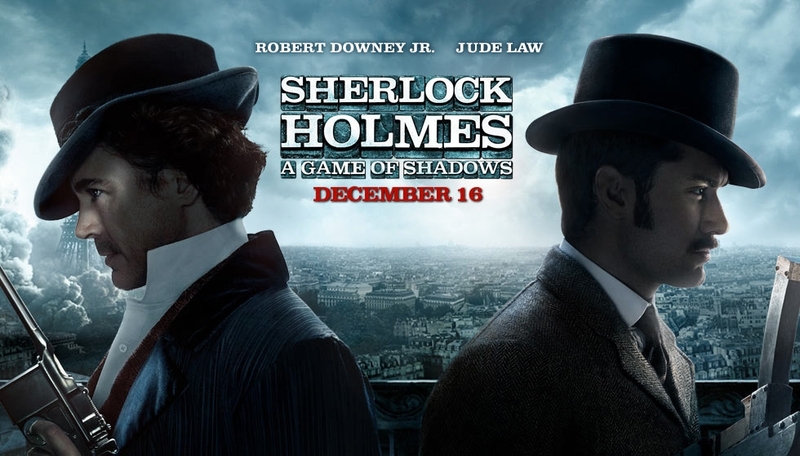 The movie Sherlock Holmes A Game of Shadows, aka Sherlock Holmes 2, will be released on December 16, 2011. 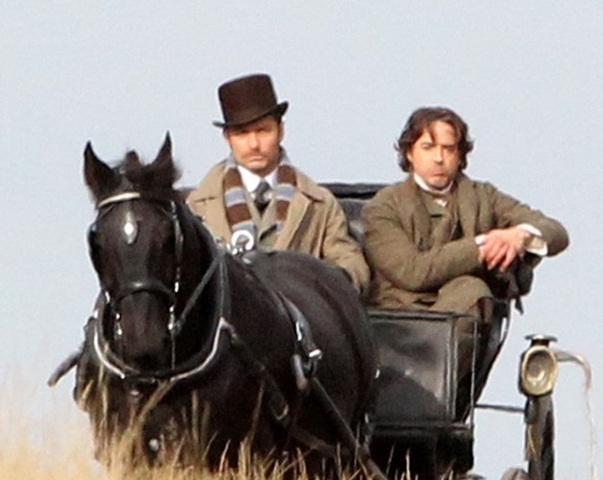 Looks like they had a lot of fun while filming Sherlock Holmes 2. The film is directed by Guy Ritchie. It will hit theaters on December 16, 2011. 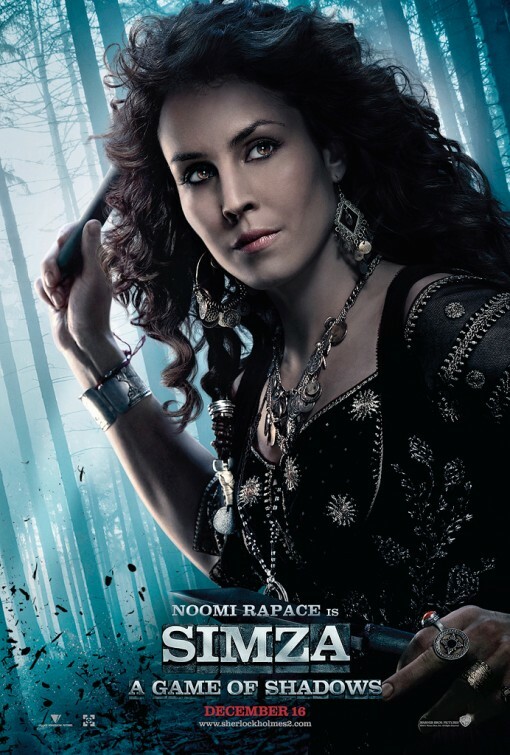 You may recognize Noomi Rapace, Robert Downey Jr. and Jude Law. 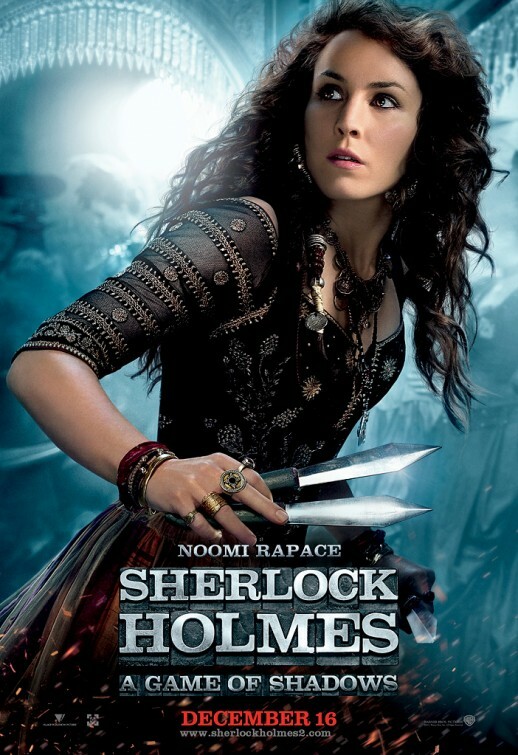 Sherlock Holmes 2 is starring Noomi Rapace, Jared Harris (who’s rumored to play as Moriarty, so no Brad Pitt?) and Stephen Fry. 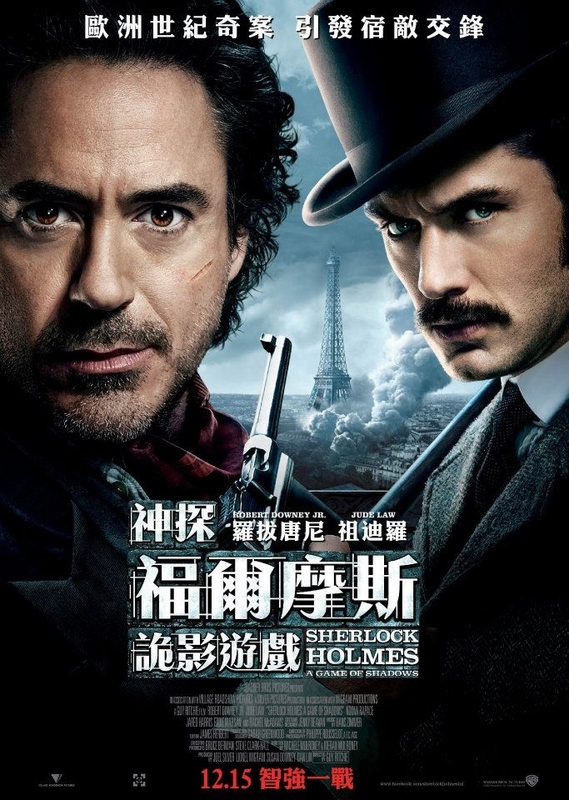 The release date of Sherlock Holmes 2, the upcoming movie sequel to Guy Ritchie’s Sherlock Holmes starring Robert Downey Jr and Jude Law, has been announced: the film will be released on December, 16 2011. From what I heard the plot is likely to move from London to the European continent, in France and maybe Switzerland. Oh and by the way, the beautiful Rachel MacAdams, who played as Irene Adler, Sherlock Holmes’s tricky love interest in the first film, will be back for Sherlock Holmes 2! Warner Bros must have been more than satisfied with the box-office success of Guy Ritchie’s Sherlock Holmes: they’re now fast-tracking Sherlock Holmes 2! 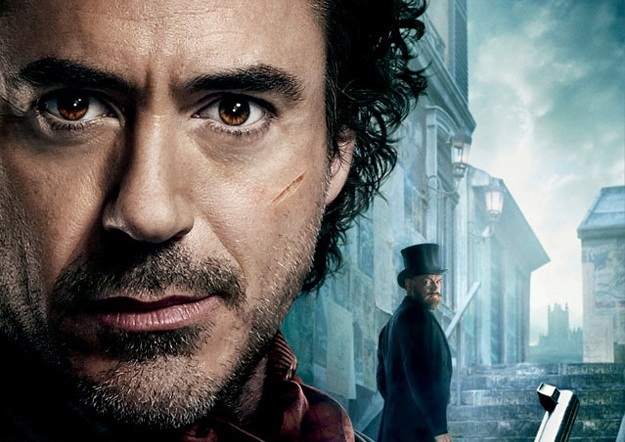 Shooting of the movie Sherlock Holmes 2 will indeed start this summer. 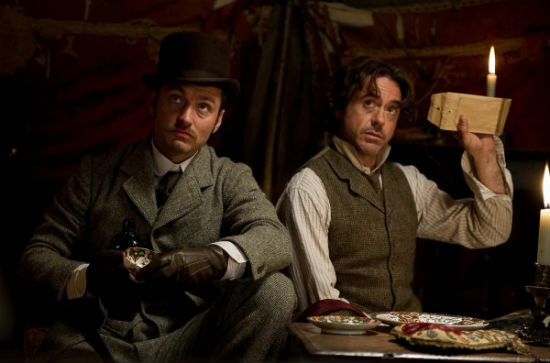 Robert Downey Jr and Jude Law will be back respectively as Sherlock Holmes and Dr Watson. 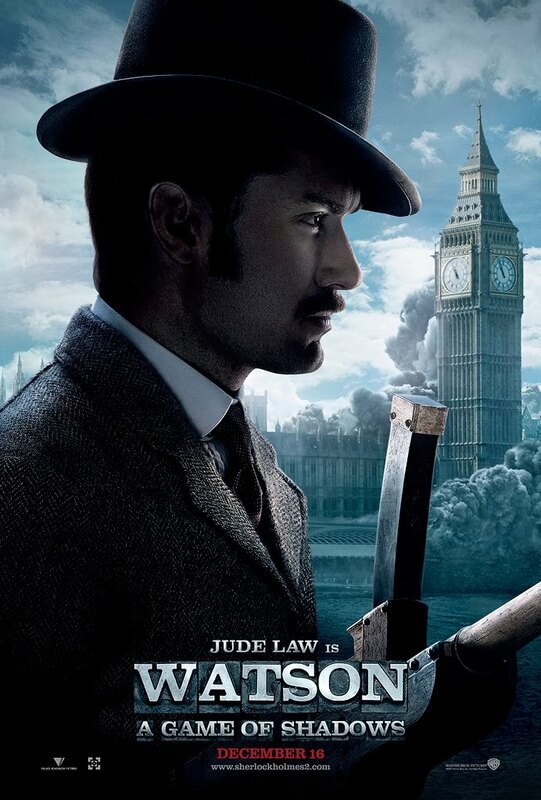 And Director Guy Ritchie will most likely helm this movie sequel to Sherlock Holmes. 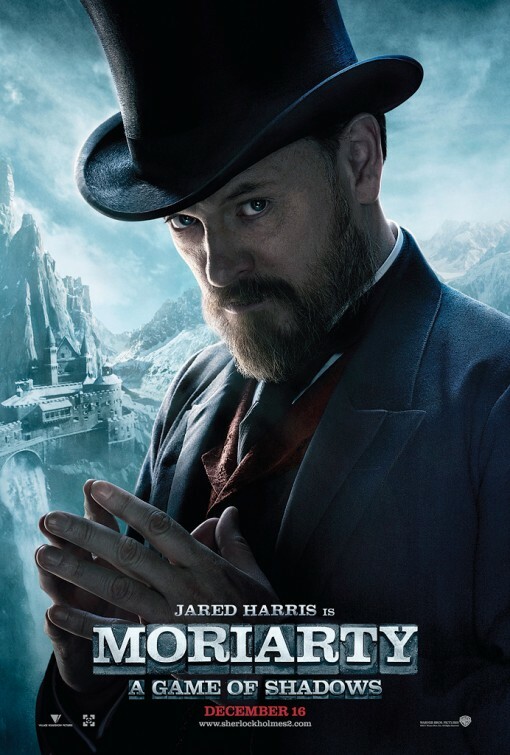 The plot of Sherlock Holmes 2 hasn’t been announced yet, but I guess Professor Moriarty, the shadow of the first film, will be the main villain of the sequel. According to the rumor Actor Brad Pitt may play the role of Moriarty. 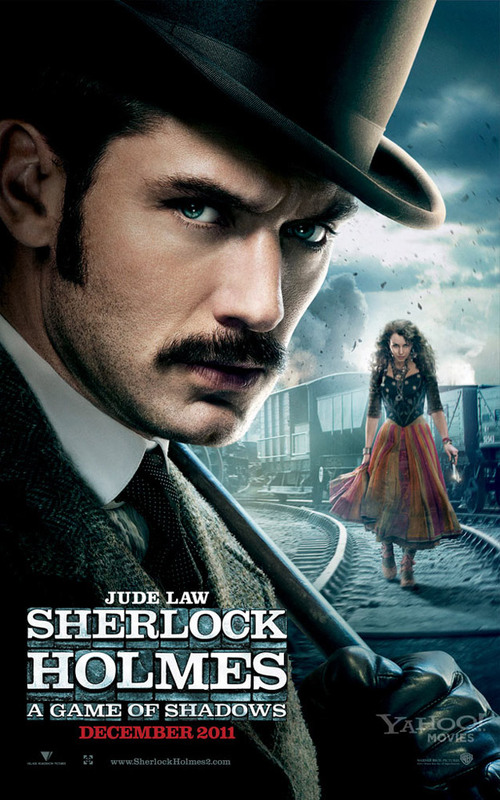 Guy Ritchie’s Sherlock Holmes hasn’t been released yet, but Warner Bros is damn confident that it’s gonna be a hit. And they’re already planning the movie sequel to Sherlock Holmes! Kieran and Michele Mulroney have been hired to write a draft script for Sherlock Holmes 2. According to the rumor, Sherlock Holmes 2 would introduces us to Professor Moriarty who is Sherlock Holmes’ ultimate nemesis. And even more interesting: Brad Pitt is said to be in discussion to interpret the role of Moriarty! 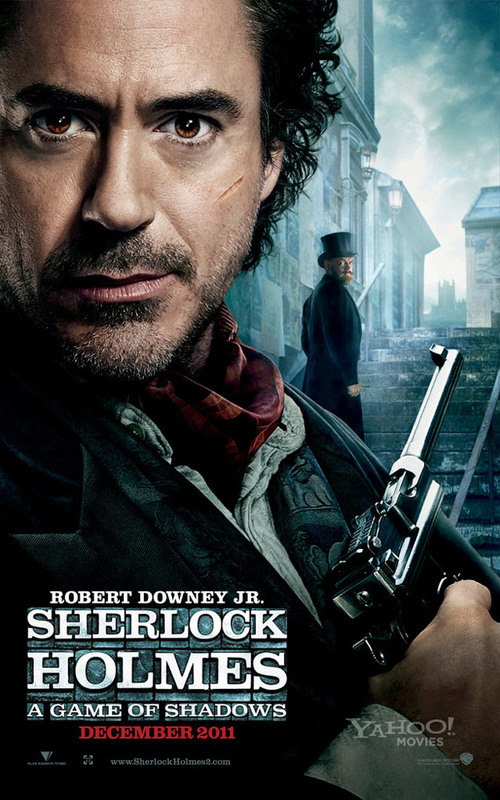 If Director Guy Ritchie can regroup Robert Downey Jr., Jude Law and Brad Pitt for Sherlock Holmes 2 that would be fantastic whatever the plot!